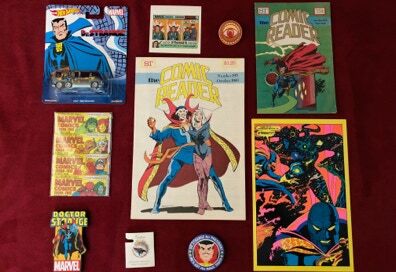 ﻿Doctor ﻿Strange ﻿posters ﻿& ﻿art, ﻿books, ﻿trading ﻿cards, ﻿statues ﻿and ﻿action ﻿figures ﻿can ﻿be ﻿found ﻿on ﻿their ﻿own ﻿page ﻿in ﻿the ﻿Archive. ﻿Refer ﻿to ﻿the ﻿menu ﻿above. ﻿Enjoy!